You and your spouse were fighting again. Your spouse called the police. When the police came, you lost your head and struggled with them, actually causing one officer to sprain themselves. Although your spouse dropped the original complaint against you, you are still charged with resisting arrest. Resisting arrest is never a good idea. There are few offenses that enrage a prosecutor or a judge more. In Illinois, a person who knowingly resists a peace officer, fire fighter or correctional institution employee is guilty of a Class A Misdemeanor, punishable by up to one year in jail and a $2,500 fine. Unlike the vast majority of other misdemeanors, the mandatory sentence for this charge is a conditional discharge rather than a supervision. As such, a finding of guilty is a criminal conviction, one that cannot be expunged or cleaned from your record. A charge of resisting arrest may not sound as ominous as many other criminal offenses in Illinois, but it is difficult to think of another misdemeanor charge that can create such a permanent blot on your criminal record. If this weren’t enough, any sentence against you must be enhanced by a penalty of at least 48 hours in jail or 100 days community service. And you can be convicted of resisting arrest even if the original reason for your arrest gets dismissed. If you injured an officer while resisting arrest, you can be in even bigger trouble. 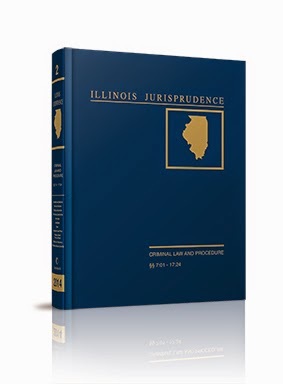 In Illinois, if you are the proximate cause to an officer’s injury, you may be charged with a Class 4 felony, punishable by 1 to 3 years in jail and a $25,000 fine. If you are charged with resisting arrest, contact an experienced criminal law attorney immediately. An attorney can help work out the best strategy to defend your case. The State must still prove that you are guilty of the offense beyond a reasonable doubt. Did you know these were police or were they undercover? Were you actually resisting or are the reports of your behavior exaggerated? Even if the evidence against you is rock solid, an experienced attorney may help work out a better plea bargain than you could do on your own. Sometimes, depending on the circumstances and your prior record, an attorney can get a dismissal in exchange for time served or community service. If you are charged with resisting arrest or another crime, you should not speak about your case to anyone other than your attorney. Any statements you make to an officer or a third party can be used against you and can harm any future defense. You should also refrain from communicating electronically about your case, either through texting, email or Facebook-type pages. If you are in police custody, a recent Supreme Court ruling requires that you say “I wish to remain silent. I wish to speak to an attorney,” in order to protect your Miranda rights. Otherwise, the police can continue to question you, and any statements you make can be used against you. 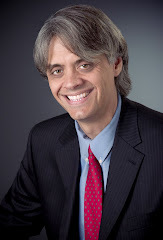 If you have a question about resisting arrest or another criminal matter, please contact Matt Keenan at 847-568-0160 or matt@mattkeenanlaw.com.